LOUISVILLE (February 6, 2018) — Powerful pulling machines go for a wild ride down the unpredictable dirt track of Freedom Hall in an action-packed showdown of the most talented drivers in the country. Ask anyone who has ever been in the stands, there’s nothing like the annual Championship Tractor Pull – from the scream of monster engines to the smell of burning rubber. 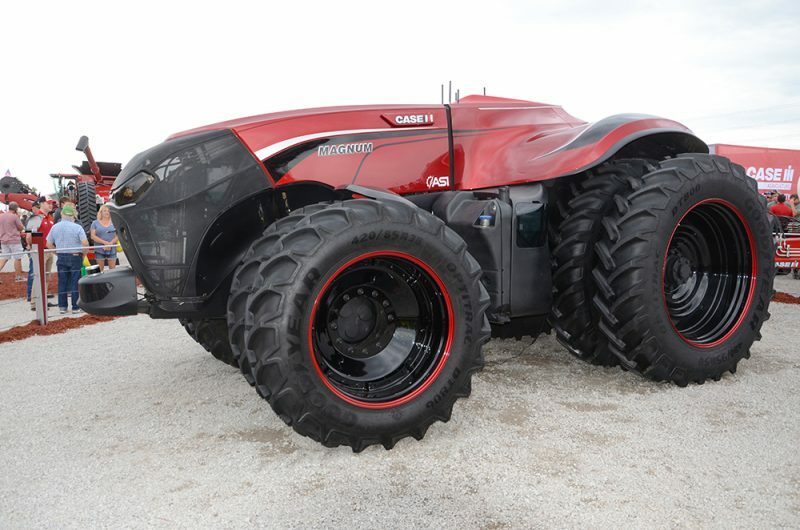 Check out the future of farm technology here. Drivers compete in eleven divisions based on the weight of their machine, for example: 7,500 pound 4×4 super stock diesel trucks and 10,200 pound pro stock tractors. Competition begins when weighted sleds are attached to the machines. Competitors then “gun for a full pull” – pulling the sled the full length of the track for a win. If two or moredrivers in a division nail a full pull, more weight is added. The driver who pulls the farthest wins. It’s the kind of excitement that keeps people on the edge of their seats because a fraction of an inch can make the difference between first and second place. Tip: Consider wearing ear plugs during the pull, because these machines are loud – some are even powered by modified airplane engines. For 50 years the nation’s best drivers and their powerful pulling machines have descended on Louisville each February for the Championship Tractor Pull. Sixty-six tractors competed in three classes (5,000, 10,000 and 15,000 pound tractors) in the first Championship Tractor Pull. There are now more than 190 tractors competing across eleven classes. A lot has changed in 50 years. The first truck class was added in 1977, an addition that helped the pull sell out for the first time. Additionally, numerous safety changes have taken place including fireproof suits and racing helmets for the drivers. Want to check out the wheeled beasts before they roar into gear? Visit “The Pit” in Broadbent Arena and get up close to competing tractors and trucks, meet drivers, get autographs and take photos with favorite vehicles. Admission is free and open to the public Wednesday ­through Friday 9 a.m. to 5 p.m. and Saturday 9 a.m. to 11 a.m.
A detailed tractor pull schedule is available at www.champpull.org. The Championship Tractor Pull is held in conjunction with the National Farm Machinery Show, the largest indoor farm show in the country. 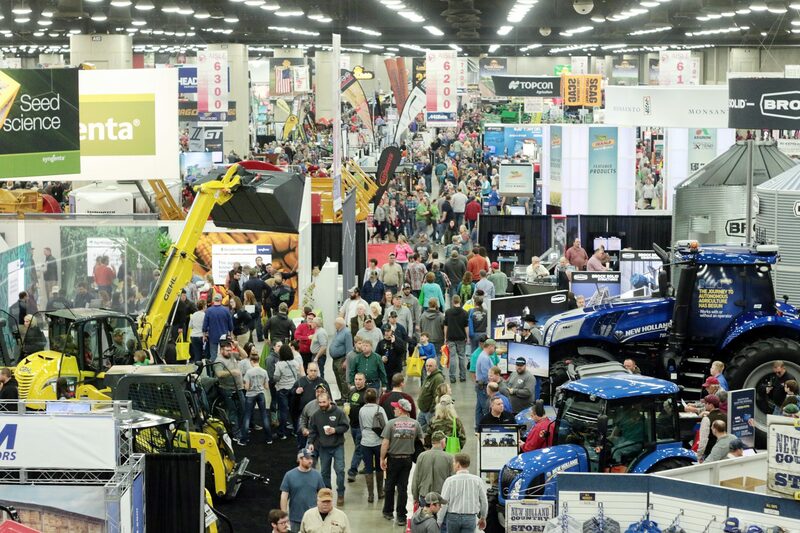 Each year more than 300,000 attendees from around the world explore the agricultural industry’s most comprehensive display of equipment, services and technology – more than 1.3 million square feet of exhibit space to be exact. With a nod to Kentucky’s heritage as an agricultural state, it doesn’t matter whether someone is in the industry or just curious about what the future holds for the world of farming. There’s something for everyone to discover in the 880 booths. Watch a live-taping of “U.S. Farm Report” market roundtable with Tyne Morgan and special guests Thursday, Feb. 15 at 2 p.m. Presented by Farm Progress in South Wing B105. Free seminars are scheduled Feb. 14-16 in the South Wing, with subjects ranging from market and weather strategies to world record corn and soybean yields; tillage trends to technology; and combine innovations to crop fertility. Sponsors include Farm Progress and DTN/The Progressive Farmer. Admission to the National Farm Machinery Show is free and open to the public Feb. 14-17 from 9 a.m.
to 6 p.m. Parking is $8 per vehicle. More information is available at www.farmmachineryshow.org.